This was supposed to be a story about food. With a recipe. Maybe even two of them. I love hard rolls and crumb buns, have since I was a boy. But neither is available in the place where I now live. This makes me crazy. Seriously. What's so difficult? I shouldn't have to call in the New York cavalry to get a job like this one done. However, and as often happens, the truth got in the way of a good plan. I never did shoot Beth that exploratory email asking if she'd consider whipping up a batch of hard rolls, nor did I harass Jo about the crumb buns when we saw each other at Cousin John's birthday party a couple weeks back. You see, the truth about this "food" photograph doesn't reside on top of the table with the baked goods and the juice glasses and the coffee cups. It's buried underneath all of that. And it haunts me to this day. I really do wish that I'd never laid eyes on this old photo. 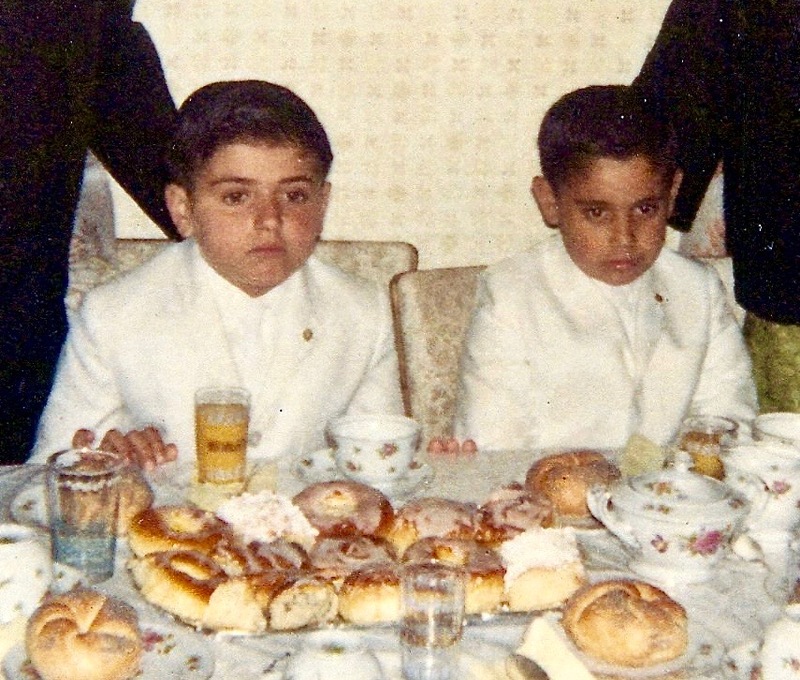 As you might have guessed, the round-faced knucklehead on the left is me; the other is Cousin Vito. We're dressed like this because we've just sufferred through our First Holy Communion and are about to dig into the post-event celebratory breakfast. 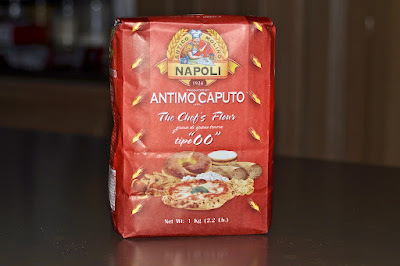 In the Catholic Church this sacrament occurs at around the second grade, which would put Vito and me at seven or eight years old. First Communion is The Big Show for Catholics, the rite of passage equivalent to the Jews' bar and bat mitzvah, only without the lox, bagels and mazel tovs. You can see that our parents had to spring for some fancy new duds on this occassion, as neither my cousin nor I were known to sport all-white suits and matching, well, everything else around the Brooklyn streets on which we were reared. It's the suit that haunts me in this photograph, not the baked goods. More precisely, the part of the suit that is underneath the table and away from view. One of the pant legs is torn open at the knee, the other at the upper calf. The seat is ripped. And around half of all the fabric isn't white any longer; it's street-asphalt black. If memory serves one of the elbows on my suit jacket is also compromised, though not enough to ruin the visual in this photo commemorating the holy event. All this damage was done in mere moments, once Vito and I and our fellow second gradesmen had emerged from the church after the ceremony was completed. Apparently, milling about the slate-lined entryway to St. Rita's and reflecting on my first taste of the son of God appealed less than finding a ball and running into the schoolyard. I don't recall how many times my nice white suit met with the hot black asphalt, but it should have been apparent to a newly sacramented Christian that even one time was far too many. Especially after what had happened before the ceremony. That was even worse. On my way walking to the church, you see, I broke a radio antenna off of a parked car—and got caught. I didn't meant to break it; it just happened. But Joe Stella's father was looking out of his third-floor window at the exact moment that his antenna toppled to the curb alongside his Buick. He screamed at me to stay right where I was and when he got down to his car he picked up the antenna and started whipping it around like he was going to hit me with it. "You're not going anywhere until you pay for this antenna," Mr. Stella shouted. "I'm taking you to your father right now." Our apartment was half a block away and so me, Joe's father and the recently unattached antenna were home in a flash. Mom and dad were on their way out the door, on their way to the church where I was supposed to already be. "You owe me money," Mr Stella shouted. "This son of yours broke this antenna right off of my car for no good reason and I want to get paid for it right now." My poor parents. I'd already ruined the entire day. And it hadn't even started yet. Dad and Mr. Stella moved down the street to settle my debt. I had to stay with mom, who was crying the whole time. The three of us walked to the church together but nobody said a word. After the ceremony, when mom and dad got a load of what I'd done to my new suit in the schoolyard, I'm surprised they didn't ditch me and go home by themselves. I would have if I were them. Why waste a perfectly good spread of fabulous baked goods on a no-account numbnut who clearly does not deserve them? An argument I surely will not be making to Beth and Cousin Josephine next time I'm looking to score myself some nice hard rolls and crumb buns. My father was a corporal in the United States Army during World War II. His assignment was that of cook. I'm in possession of his Official Recipe Manual. It sits on a bookcase in my home, near a spot where I often sit and in a place where I can access it readily. Occasionally I will browse its uninspired government-issue recipes, but never have felt a need to prepare any of them. Just a couple days ago I received this photograph. It is the only picture that I have of my father at work in his Army kitchen, such as it is. Already it is among my most prized possessions. My father's name was Michael. He lived to be 54, just old enough to witness his New York Mets win the 1969 World Series but well shy of seeing his three sons make it out of grade school, let alone experiment with becoming men. 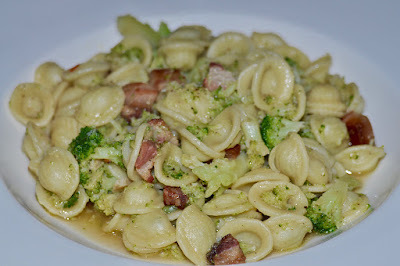 Except for the occasional Crispy Leftovers Dish, my father did none of the cooking around our house. Every day he opened the family's fountain service store at 5 a.m., and didn't close til around 7 p.m. There was no time to practic his military-learned kitchen craft. 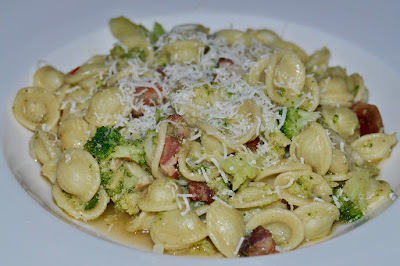 Besides, my mother was born to cook. Ask anybody who lived within half a mile of our apartment in Brooklyn; they'll tell you. Mom's husband just wasn't needed to rack up stove time when he was at home with his wife and kids, and so he didn't. Not being a parent it's been a long time since Father's Day has meant very much to me. But this year I find myself thinking about it a lot, and I'm sure that I have this old photograph to thank. 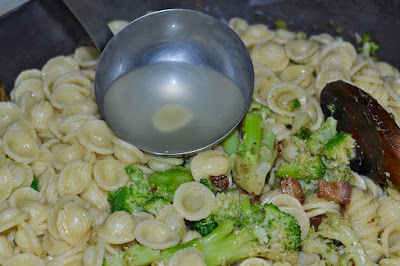 Just last evening I was sipping wine in my kitchen and fixing something to eat. And I swear, all I could think about was how good it would be to cook a big, special dinner for my father on Sunday. I'm still thinking about it now. Like all things that occur between fathers and sons, the results might be difficult to determine. 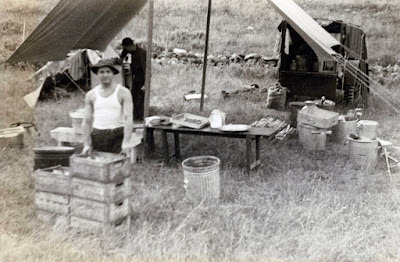 I can't say that my father would be proud of the way I handle myself in the kitchen, or in all the other important things that determine how well a man lives his life. I can hope, though. And I do. Because it matters. And probably always will. I was on my own last night, and had planned on heading out for a burger. But then I got to searching the travel websites for a very-much-hoped-for European trip this fall. Naturally the search brought me to Italy and, well, there went the beef-and-beer plans. This whole thing took around half an hour. And everything I needed was already in the house. So was plenty of wine, of course, and so I cracked open a bottle and got to work. 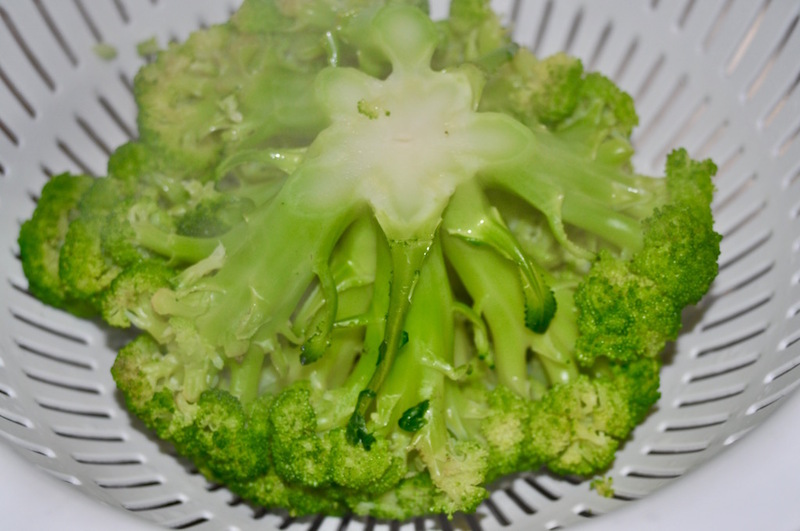 In enough well-salted water to cook a pound of pasta, blanch a large head of broccoli, or a couple medium-size heads, then set aside. Do not throw away the water; you'll be using it to cook the pasta. 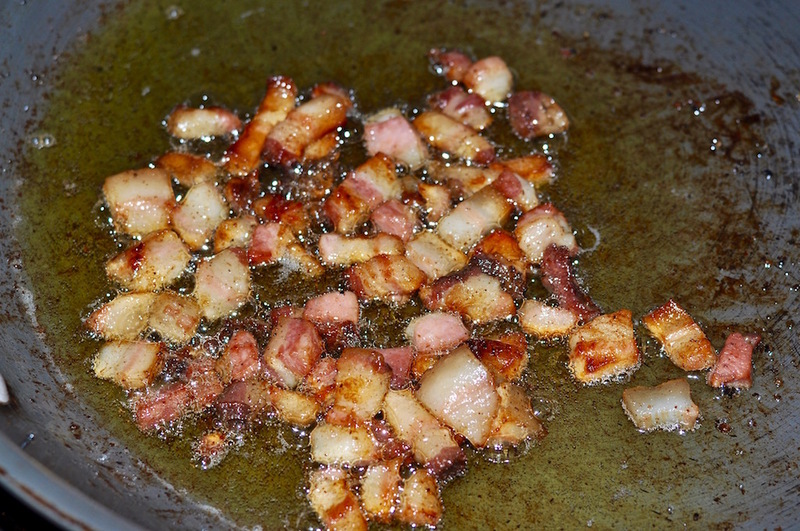 At medium heat slowly saute around 1/3-pound of cubed pancetta (or bacon if you prefer) in olive oil until lightly crisp, then remove from the pan with a slotted spoon. 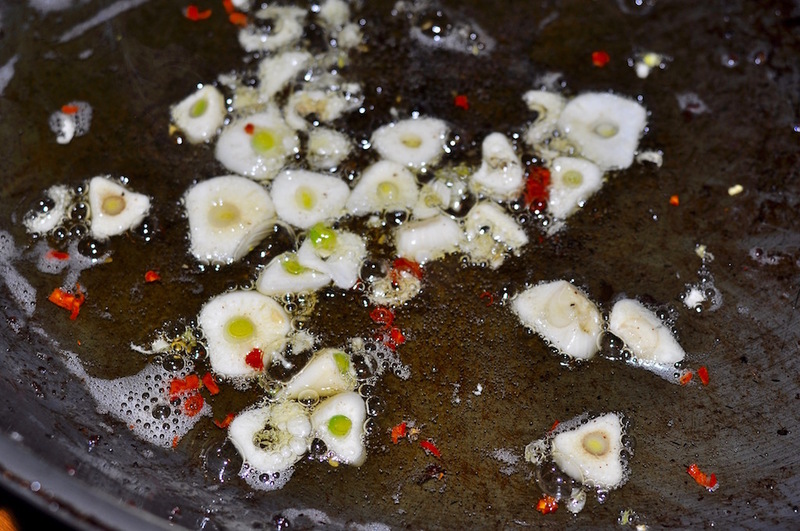 Saute 4 or 5 sliced garlic cloves in the same pan, along with some hot pepper if you like. 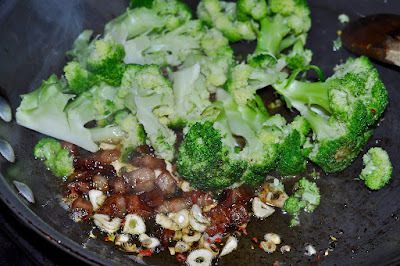 Once the garlic has softened add the pancetta and the broccoli to the pan and incorporate. 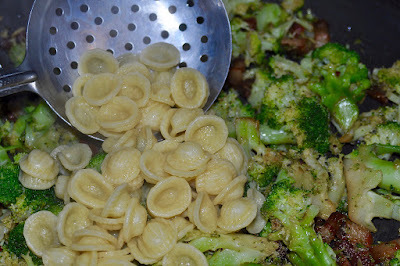 After the orecchiette is cooked add it to the pan using a large slotted spoon. Again, do not throw away the pasta water just yet. 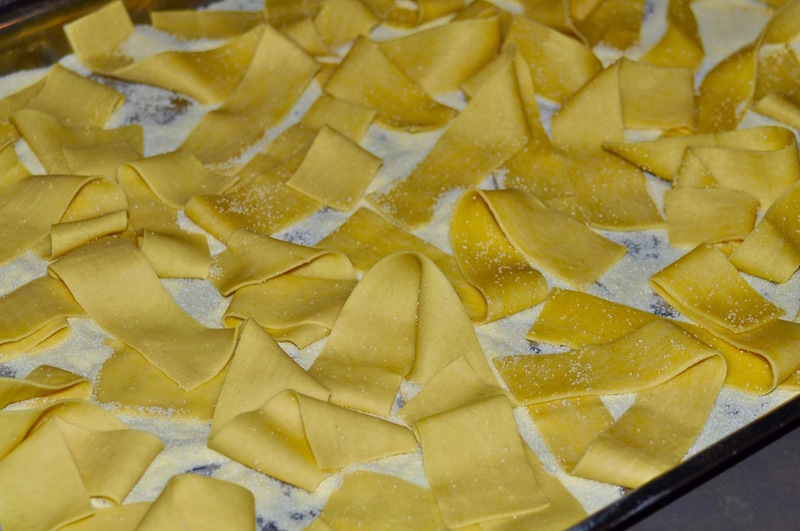 All that's left to do now is add around three ladles full of the pasta water and incorporate. Oh, and top with some grated cheese. Most fresh pasta recipes call for all-purpose flour, which I'm sure is just fine, but I've been using "00" flour for a long time and it's always worked well for me. 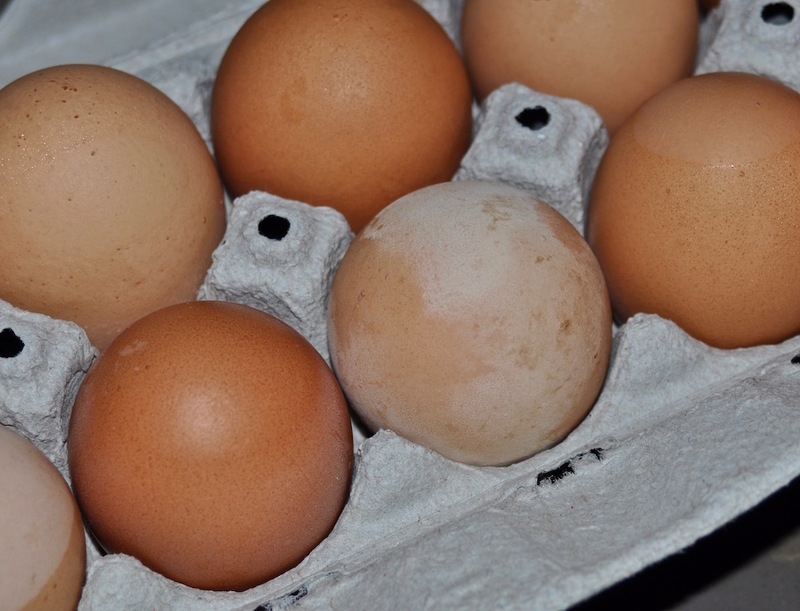 There's nothing wrong with using regular supermarket eggs either. But when making pasta I always use the freshest eggs I can get my hands on. These are from a farm just a few miles from my house. Tools? You'll need a fork and a pastry cutter. Okay, now find yourself a surface that gives you room to work without feeling cramped. 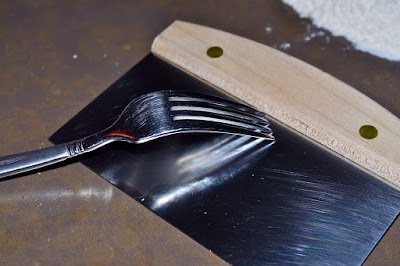 I just use the stone countertop in my kitchen but a big cutting board will do just fine. Take 3 cups of flour and, using your fingers, create a well in the center. 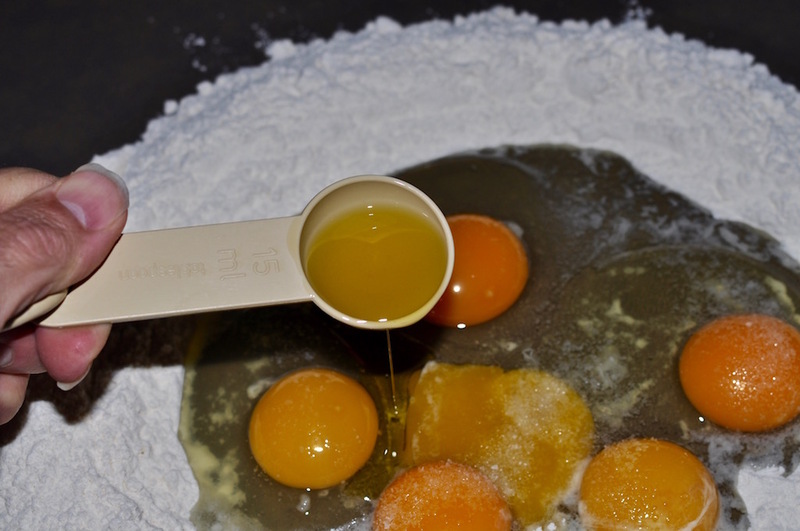 Add three whole eggs, three egg yolks, plus around three-quarters of a teaspoon of kosher salt. Then add 1 tablespoon extra virgin olive oil. Use the fork to mix it all together. 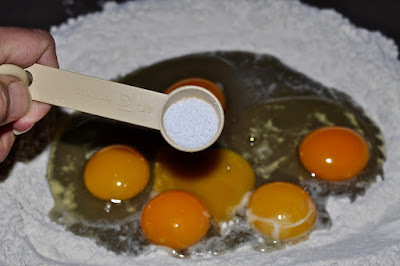 Using your fork, slowly incorporate the flour into the egg mix. Don't rush it; just gradually, and in a circular motion, bring the flour into the egg a little at a time. 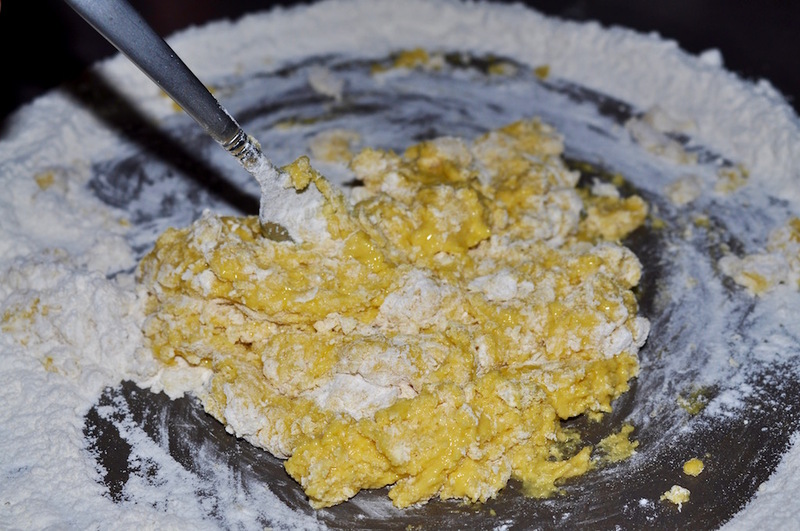 When a dough just starts to form put away the fork and grab the pastry cutter. Using the cutter gradually incorporate the remaining flour into the wet mix. There's no need to be delicate about this. 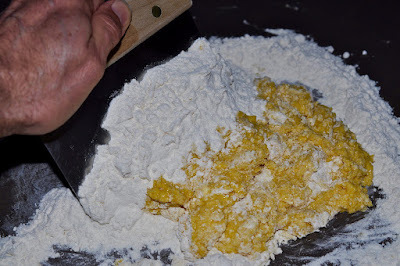 Just scrape the flour in from the sides and cut it right in. Whe a nice dough ball forms scrape away any remaining flour from your work surface with the pastry cutter. On the clean surface keep working the dough until it's nice and smooth. 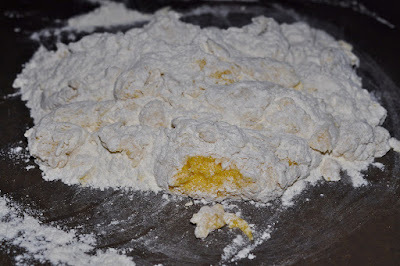 If the dough feels too wet dust the surface with a little flour and incorporate it into the dough ball. 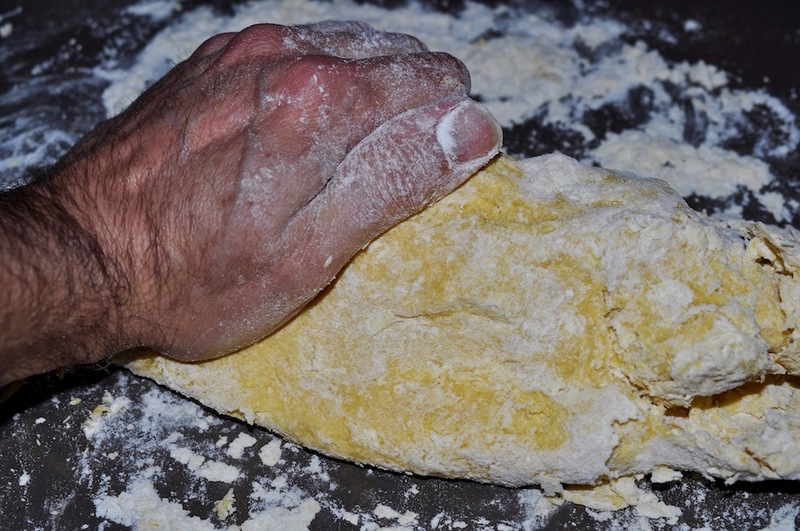 The dough shouldn't feel sticky when you touch it, but it shouldn't be dry either. Again, don't worry about being delicate. 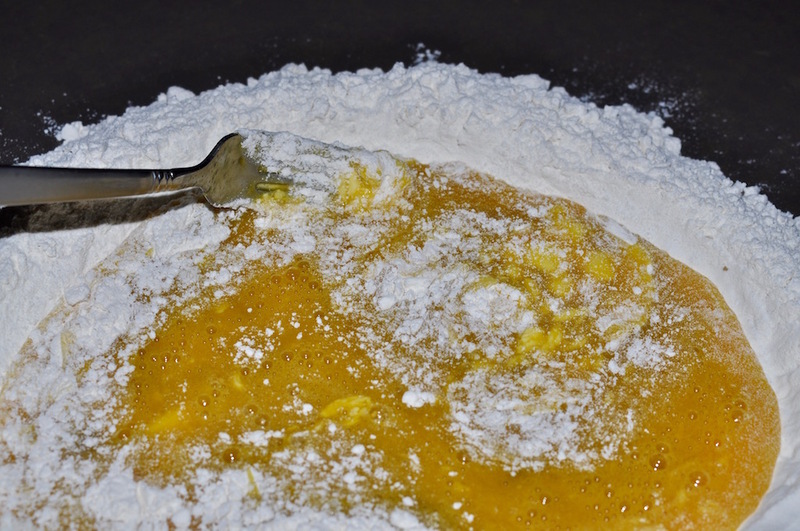 You could work pasta dough all night long and not mess it up. When you're through working the dough wrap it in a plastic bag and let it rest. Most people allow the dough to sit at room temperature for a few hours before making their pasta, which is fine. 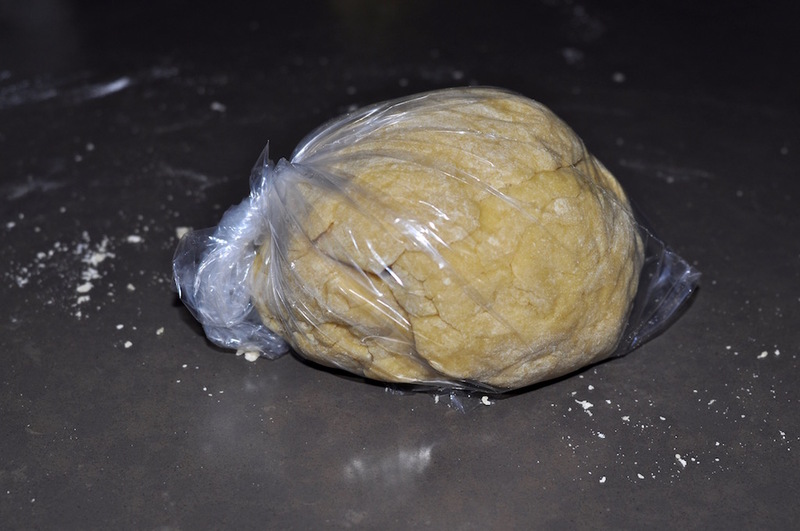 However, I prefer to make my dough a whole day in advance and let it sit in the fridge overnight. 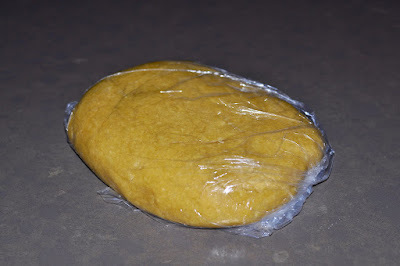 I also take the bag out a couple times and massage the dough while it's in the plastic bag, even flattening it down. 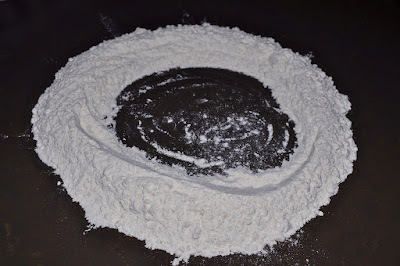 I do this because the dough becomes smoother and silkier, as it allows the humidity to become more evenly distributed throughout the dough. 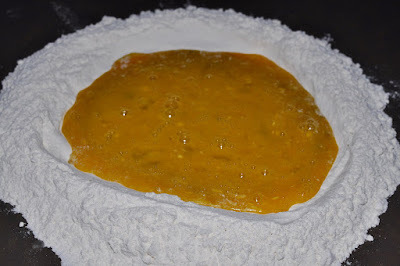 The next day I make sure to take the dough out of the fridge and let it to come up to room temperature before making my pasta. 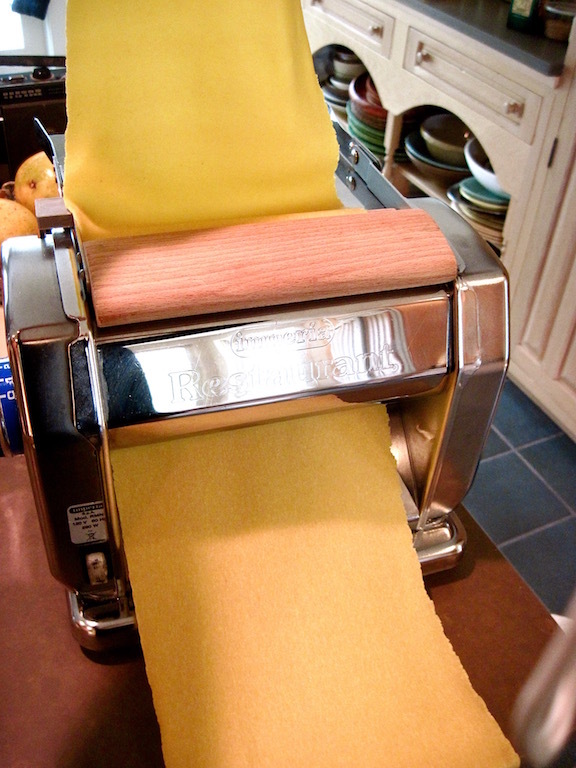 I've got a restaurant-grade electric pasta machine and so the sheets I produce can be pretty nice. But don't let that intimidate you. A sheet of pasta is a sheet of pasta. 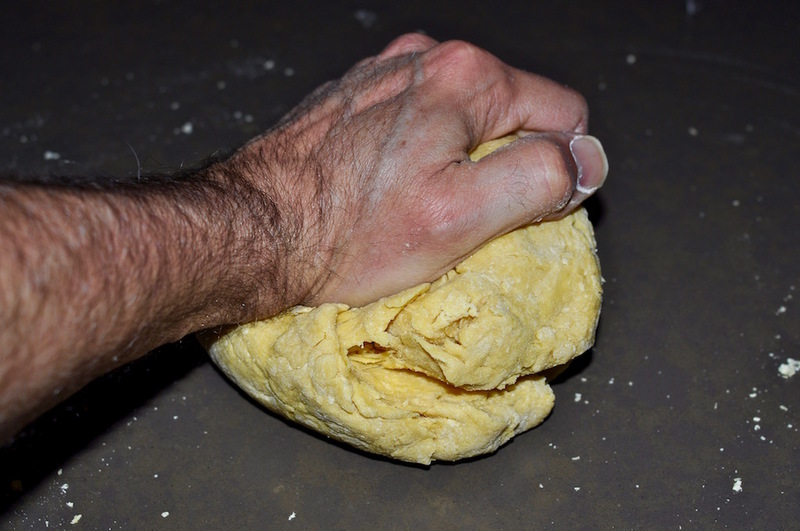 As long as the dough is made well you'll be in good shape, no matter what machine you use. Sometimes I don't even use a machine, opting for hand-rolling instead. As for thickness with pappardelle, I run the sheets just under the No. 2 setting on my pasta maker. 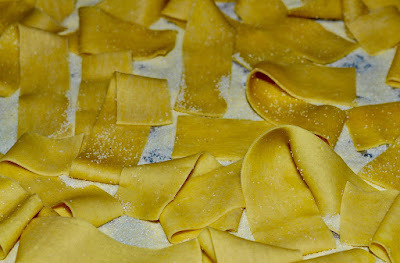 This will make for a slightly thick noodle, so adjust as you like. 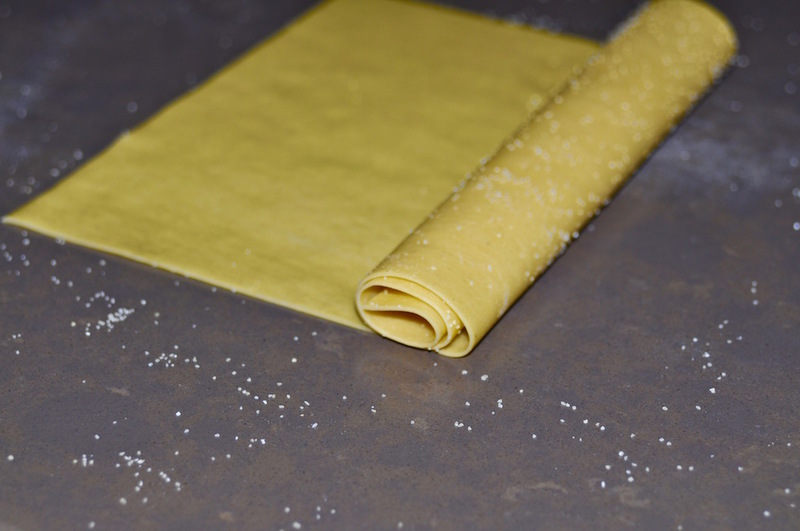 No matter which rolling method you use, the idea is to wind up with pasta sheets like this. The sheets don't come out of the machine looking this perfect; just square the edges using a cutter or a knife. 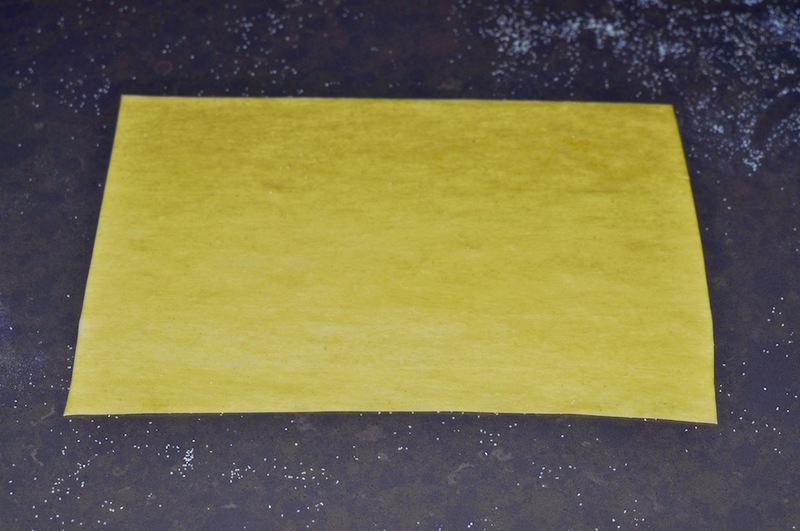 The length of the sheet should be as long as you'd like the noodle to be. This sheet is around 9 inches long. Roll the sheet like so, but make sure to do it very gently. 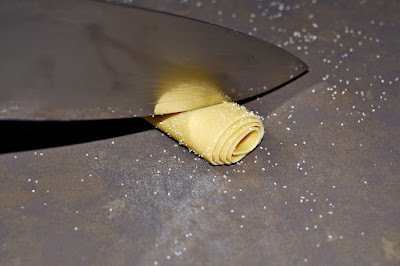 Then take a very sharp knife and cut the roll into pieces the width of the noodle you want. These are a little under an inch wide. Once the entire roll is cut immediately unroll each individual noodle and place on a pan or baking sheet covered with course semolina flour. The pappardelle can rest this way until you're ready to cook them. 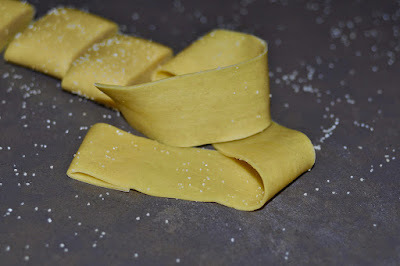 Cooking time will vary depending on how thick you've rolled out the sheets, but these only took 2 minutes.